Jane Cunningham Croly, journalist, author, editor, and woman’s club leader, was born in Market Harborough, Leicestershire, England. Croly was the fourth child of Jane Scott and Joseph Howes Cunningham, a Unitarian preacher. Her father’s unpopular beliefs reportedly led to the stoning of their house and the impetus for the family’s move to the United States in 1841. Jane finished her childhood in Poughkeepsie and Wappinger’s Falls, New York. She received her early education by reading widely in her father’s library. She lived and kept house for her brother, a Congregationalist minister in Worcester, Massachusetts. She taught school there and wrote a semi-monthly newspaper for her brother’s congregation. Jane’s column was popular, and by 1857, she became one of the first women syndicated columnists, appearing in newspapers in New Orleans, Richmond, Baltimore, and Louisville. In 1856, she married a staff writer for the Herald, David Goodman Croly, a self-educated Irish immigrant who, as an editor, would be credited with pioneering the format of the modern Sunday newspaper. Jane’s column was popular, and by 1857, she became one of the first women syndicated columnists, appearing in newspapers in New Orleans, Richmond, Baltimore, and Louisville. The couple moved to Rockford, Illinois in 1859, home of Jane’s sister Mary and her family, and Jane gave birth to her first daughter, Minnie. With the financial backing of Mary’s husband, the Crolys started up the Rockford Daily News, but the newspaper failed a year later, and they moved back to New York. 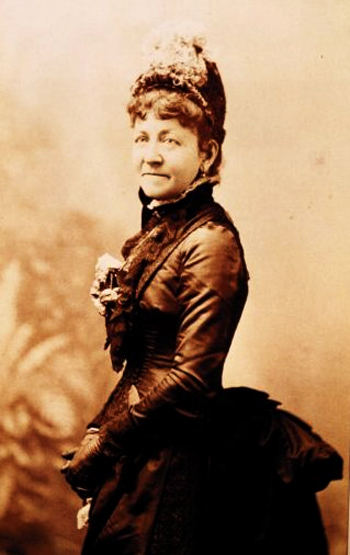 Jane ran the women’s department at New York World (1862 – 1872), where her husband was managing editor, and became chief staff writer of Mme. Demorest’s Mirror of Fashions, later Demorest’s Monthly Magazine (1860 – 1887). During this period, she had four more children—a son who died in infancy, two more daughters, Viola and Alice, and a son Herbert David (1869 – 1930), the first editor of the New Republic. In 1864, Croly published her first book, Talks on Woman’s Topics, a collection of newspaper pieces. In 1866 she published Jennie June’s American Cookery Book, a domestic manual dedicated to the young housekeepers of America. As expected from an ambitious, busy mother, she gave much advice on efficiency, preparedness, economy, and discipline. Croly formed the General Federation of Women’s Clubs in 1890, to support clubs throughout the nation and further their efforts at providing education, improved working conditions, health care, scholarships, and other reforms. Croly also founded the New York Women’s Press Club in 1889. 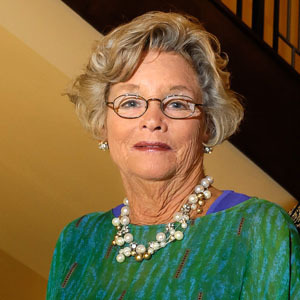 Throughout her life, Croly would be the major provider for her family. Her husband quit his editing position in 1877 to spread the doctrine of Auguste Comte’s Positivsm. Croly became the sole source of the family’s income when her husband’s health began to decline, leaving him an invalid until his death in 1889. 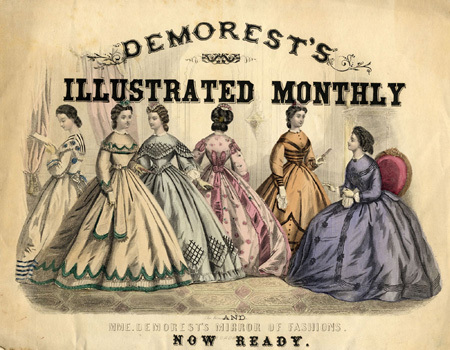 Meanwhile, with the end of Demorest’s magazine ventures in 1887 and an unsuccessful attempt to revive Godey’s Lady’s Book (in which she bought a half interest) Croly turned her attention toward the founding of a magazine for her Federation, initially entitled the Woman’s Cycle. 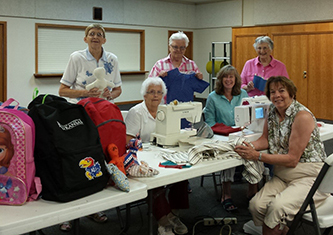 Croly spent her last years writing her History of the Woman’s Club Movement. She died in New York City in 1901, and was buried in Lakewood, N.J., beside her husband. Like many prominent women of her day, Croly’s position on women’s issues was contradictory. She recognized that the middle-class woman was losing her place of authority in the home as industrialization and servants freed her from housework, and new avenues of responsibility outside the home opened slowly if at all; she was becoming, as she wrote in 1869, “a child to be caressed, waited upon, and provided for.” Croly wrote earlier in her career that the answer to this problem lay not in political empowerment or outside employment, but in paying more attention to housekeeping and mothering. However, Croly became very involved in improving working conditions for women, supporting professional female journalists, and advising and assisting educated girls looking for employment. Through her dedication to women’s clubs, she committed to helping other women obtain the education that the society of men had failed to support. Jennie June was looking ahead, not behind.